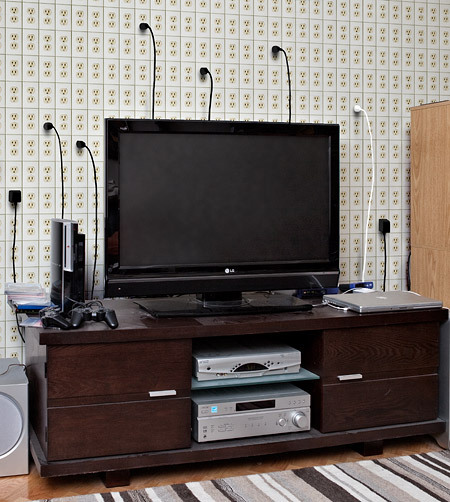 Instead of hiding your outlets behind furniture and worrying about the mess of wires tangled behind your entertainment center, consider making an entire wall that’s nothing but outlets. Then you can artfully plug in your appliances wherever the cords look pleasing to you. via Ironic Sans: Idea: The Outlet Wall. Hard to go past a blog with the name of Ironic Sans. That’s just rediculously awesome.